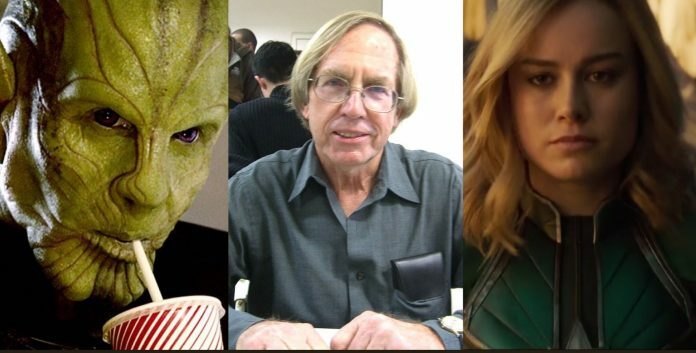 Carol Danvers’ creator Roy Thomas recently shared his opinion on the 21st entry in the Marvel Cinematic Universe. Thomas, who co-created the character with Gene Colan, expressed his disagreements with the MCU’s portrayal of the Skrulls and Carol Danvers in an interview with BleedingCool’s Rich Johnston. You can read the full interview here. Thomas specifically pointed out that the second act of the film is where he felt it stumbled most in how it portrayed the iconic shapeshifting Marvel villains. Actually, the one thing I really hated in the film was turning the Skrulls into a peace-loving race, with the Kree as the heavies. As far as I’m concerned as the principal conceptualizer of the Kree/Skrull War (and I suspect Stan Lee and Jack Kirby would’ve agreed with me), the Skrulls and the Kree are each as bad as each other, as they say. Having the Skrulls all mushy and family-friendly at the end left a bad taste in my mouth… but I loved ’em for most of the movie, when they were doing shape-shifting stuff that looked (and as far as I’m concerned, were) downright evil. However, he did praise Jude Law’s performance as Yon-Rogg, but that he was somewhat disappointed that the film did not make use of the character’s Intelligence Supreme title. A lot of his criticisms have been constantly reiterated in a lot of critical reviews for Captain Marvel since the film’s release. The issues he had with the film most notably came from Brie Larson’s portrayal as Captain Marvel, which he explains as just her not having enough material to work with. Captain Marvel is the 21st film in the financially and critically successful Marvel Cinematic Universe, but more importantly it is the first female-led entry in the franchise. 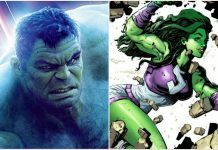 Ever since the film’s announcement it has been perceived as a pro-feminist vehicle much akin to Warner Bros.’ Wonder Woman, which has caused a massive debate between various sects of comic fandom who questioned if that was the right approach. 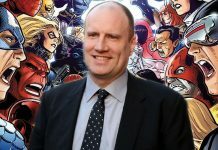 This debate was further exacerbated by Brie Larson’s comments regarding increased diversity in the film industry and in criticism, which was found to be offensive by notable and controversial figures in the Comicsgate movement such as former DC Comics artist Ethan Van Sciver. Currently, Captain Marvel has grossed $760 million worldwide and is on track to gross $1 billion. Once it hits $1 billion, it will be the the seventh installment in the franchise to hit $1 billion. 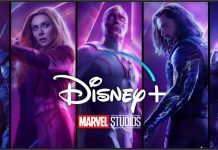 The others were The Avengers, Iron Man 3, The Avengers: Age Of Ultron, Captain America: Civil War, The Avengers: Infinity War, and Black Panther. What do you think of this news? Do you agree with Roy Thomas? Let us know in the comments below!